Hopes of finding the climbers alive diminish. The helicopter couldn’t fly again for two days due to bad weather in region. Skies cleared this morning and aerial search was resumed. However, the search party found no sign of missing climbers, whereas the position of tracker showed evidence of an avalanche. Here is official press release. “The reconnaissance was carried out in two phases, with a stop in between, at 06:00 a.m. (09:00 p.m., Pakistani time) to refuel and continue the search. The helicopter has crossed the Ridge several times, arriving to fly until the 7,400m of altitude, to fix its focus, in the second flight, in the penultimate and last known position of Alberto and Mariano, without success. 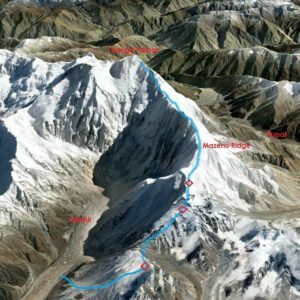 Search and rescue mission is underway on Nanga Parbat where Alberto Zerain and Mariano Galvan are unaccounted for since Saturday June 24th. The Spanish-Argentinian duo was attempting Mazeno Ridge in alpine style. Aerial search carried out this morning remained unsuccessful as thick clouds blanketed the last reported position of two climbers. S&R mission will resume tomorrow. Alberto Zerain and Mariano Galvan reached Nanga Parbat Diamir BC on June 15th. 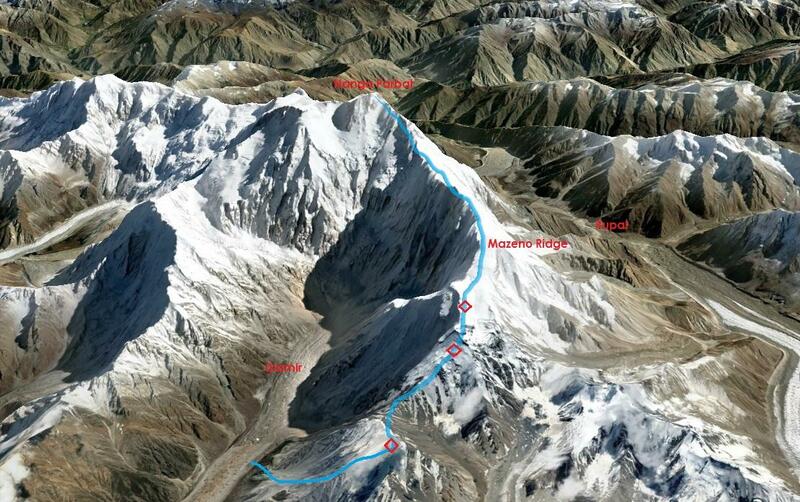 They intended to access the Mazeno Ridge at around 3700m from Diamir valley. The duo was not permitted (by security officials) to camp at the start of route and instructed to stay at Diamir Base Camp (4200m). By June 17th, they had carried loads to the base of Mazeno Ridge at around 4500m. The roundtrip took around 10hrs. 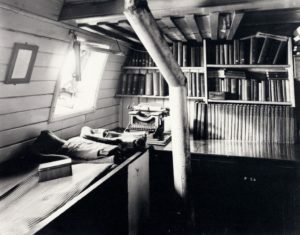 “Tomorrow we will begin to climb and calculate a week to complete the ridge and two extra days for bad weather and rest. We will be heavily loaded, since we have not made any pre-arrangements.” Mariano Galvan wrote on June 17th. 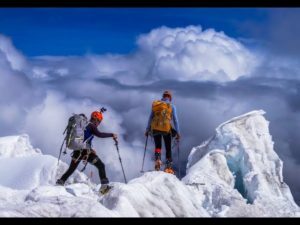 Fresh from Annapurna and Lhotse expeditions in Nepal, the two climbers were fairly acclimatized for summit-bid right away. 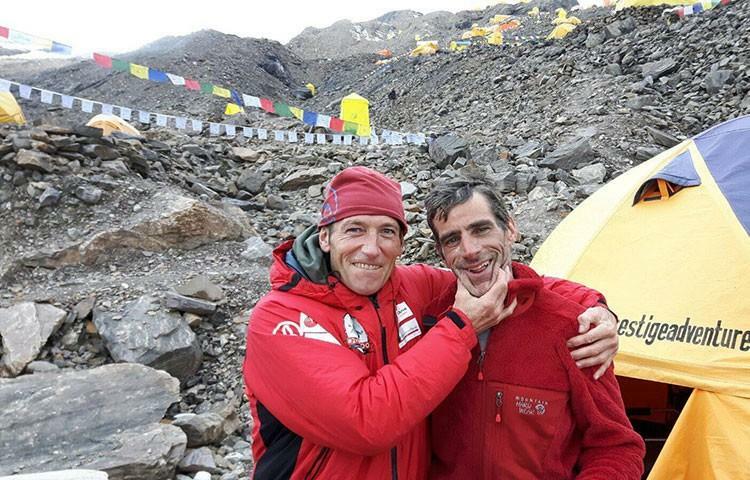 On 23rd, they were at around 6000m when Alberto made a phone call to home. 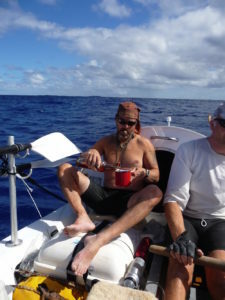 Alberto told them that he was in good health and satisfied with their progress on the route. They intended to complete the ridge quickly before weather broke down again. On 24th, the tracker showed their progress for a while. At around 06:14am [presumably Spanish time], they were at 6270m. However, about an hour later the tracker stopped at 6112m. The tracker kept beaming the same location until it went silent at 10:10pm. The device was configured to automatically shut down 24hr after power on. An aerial search to locate the two climbers this morning remained unsuccessful. Thick cloud blanket barred the search party to see anything at the tracker’s latest location. The helicopter flew towards Nanga Parbat at around 08:45am local time, picked up experienced Romanian climber Alex Gavan from BC, and flew around the mountain for about three hours. The helicopter eventually returned back due to bad weather. Heli-search is expected to resume tomorrow if weather permits. Nanga Parbat Mazeno Ridge and team's stopover marks. Heli-search is centered around third mark and above.